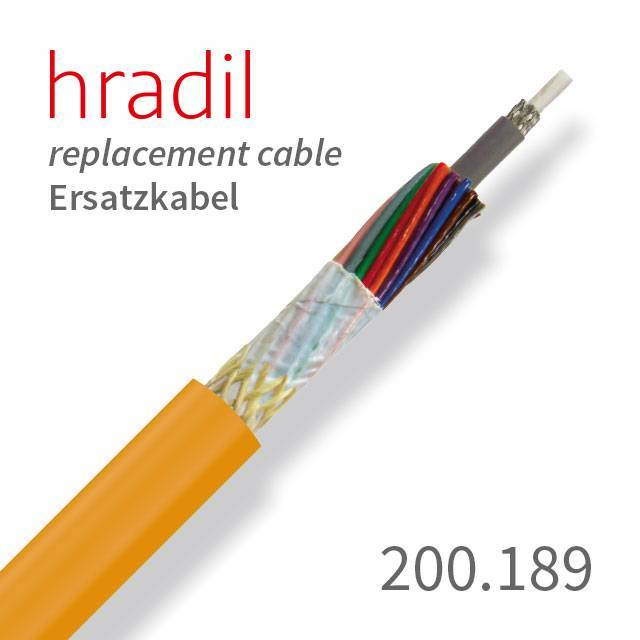 The Hradil camera cable has a construction of a total of 28 cores and a coax core. The systems have become very rare, the greater is the need for a suitable cable replacement. 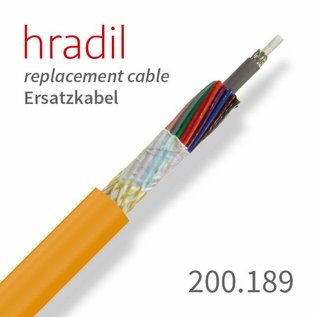 The thick, 11.5 mm Hradil camera cable suitable for all BRA 95 and RCA 90 units from Rausch is one of our best sold cables. It can be drummed on systems with the K21 drum or the Elka 600. Also this camera cable has our proven design of a Vectran braid with a tensile strength of up to 2500 N and a PUR sheath with a special TPU blend.